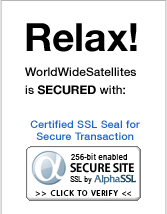 Linkbox USA are the leaders in North America for the Free to Air Satellite Industry. Linkbox honors 2 Year Warranty in the USA unlike competitors which offer warranty only in Asia. Linkbox offers the latest technology with all in one solutions for Free to Air, Over the Air ATSC and IPTV (Internet TV). Linkbox Products are Design in the USA and Manufactured in Korea. Linkbox is the longest active Free to Air Satellite Manufacturer with 18+ Years Experience for Linkbox / Pansat Company.